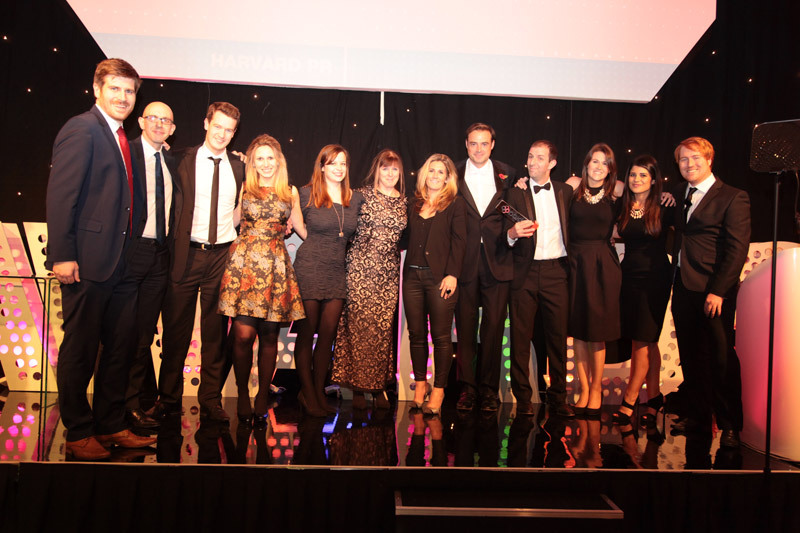 It was a big night for the Harvard team last night as we scooped the PRCA’s Medium Consultancy of the Year Award at the Hilton Park Lane. This is a massive win for us and a huge accolade that has been in the making for four years. Since 2011 we have completely rebuilt this agency from the ground up and every single person inour team has played a huge part in its success. We’ve built an enviable proposition in the marketplace, deliver superb award-worthy work day-in-day out, and have grown a culture that attracts some of the best talent in the business. As a result, we’ve doubled the size of the agency, won a raft of amazing new clients, and delivered game-changing campaigns for some of our long-standing clients. The PRCA gong follows a Holmes Report SABRE Gold award win in the B2B Marketing category for our work with Fujitsu on the integrated DataHeaven vs. DataGeddon campaign a few months ago. We are on track to hit our financial targets this year and are working on some phenomenal integrated campaigns, so we predict more silverware to come. A huge and heartfelt thank you to the PRCA and the judges. This makes a massive difference to our company. Good job we packed the selfie stick.